Band members: Stefan "Kleinkrieg" Kleinkrieg (guitar), Rolf Möller (percussion), Uli "Public" Ruhwedel (guitar), Wolfgang "Hunter" Jäger (bass) und Kai "Havaii" Schlasse (vocals). 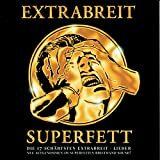 Although Extrabreit got its start with New German Wave, they consider themselves to be more of a punk rock band. Founded in 1978 in Hagen, the band reached the high point of its career between 1981 and 1983, when they played sold-out concerts and earned gold records. 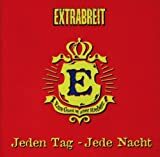 Like so many of the bands that came out of New German Wave, Extrabreit experienced some lean years thereafter. 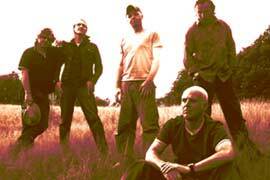 Nonetheless, "die Breiten" continued touring and producing albums for their loyal fans until their breakup in 1998. Many of their earlier albums are only available in vinyl LP format. In 2002, the band staged a comeback. The reunited band has released some rare, previously recorded tracks and new remakes of some of their old hits. The band played its first concert for a reunified Germany in Bochum on August 31. The tour was so well-received, Extrabreit decided to produce another album. Frieden appeared in April 2005. As a special bonus, the CD contains long lost demo recordings that resurfaced in 2003 on an audio tape in Magdegurg. The demos date back before the band's first album. 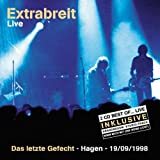 This bootleg recording from the band's farewell concert provides a representative sampling of the band's musical history. 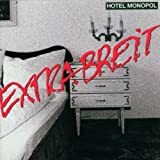 Die Extrabreit Fanpage [German] - Up-to-date news about the band, concert info & lots of photos. 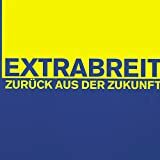 Extrabreit [German] - Another fan page with news stories, interviews, discography, more. 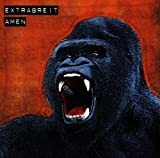 Extrabreit Fan-Sit [German] - Another fan website with autographed photos, concert reviews, current news and media references to "die Breiten".